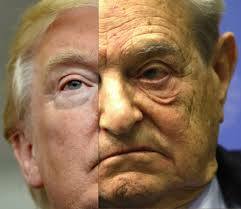 War of The Billionaires: Trump vs. Soros. If Trump is elected President by the people expect a colour revolution within his first 100 days in office. I have shown time and time again how George Soros is funding staged events across the US. The woman in question here is actually a Lead Organizer for Soros's Open Society Foundation! This is more proof that he is orchestrating events to fit his Agenda.